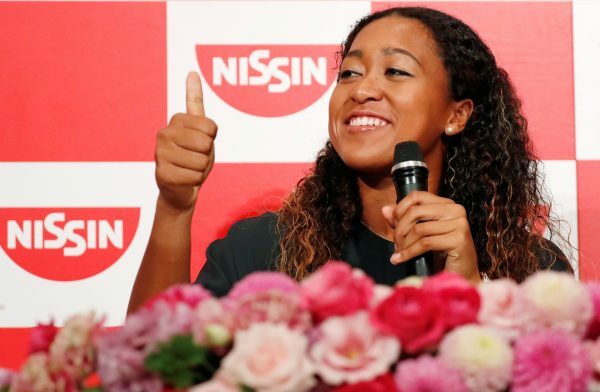 YOKOHAMA–Naomi Osaka said Serena Williams’s row with the umpire during the U.S. Open final had not altered her feelings about winning a Grand Slam largely because she had no idea how she was supposed to react, the Japanese said on Sept. 13. At Flushing Meadows on Sept. 8, the 20-year-old was reduced to tears during the presentation ceremony but on her arrival back in Japan, she said she had not been saddened by the incident. “For me, I don’t feel sad because I wouldn’t even know what I’m expected to feel,” she told a news conference in Yokohama ahead of the Pan Pacific tournament that begins on Sept. 17. One of the most controversial Grand Slam finals of all time divided tennis and triggered a debate about sexism in the sport, fueled by Williams’s assertion that Ramos would not have dealt with a male player in the same way. Much of the criticism of Williams has centered on how her actions had spoiled a precious moment for Osaka, who was even moved to apologize for beating the home favorite to a New York crowd angrily booing Ramos.